Vulvodynia is a common, recurrent, vulvar pain condition with debilitating consequences for affected women’s health and quality of life. The heterogeneity of women suffering from vulvodynia as well as its uncertain and likely multifactorial etiology pose a significant challenge to identifying any kind of “gold standard” treatment. Thus, treatment providers must be well versed in the various options and the evidence for each. In this review, we begin with pharmacological treatments, followed by non-pharmacological treatments, surgery, and finally multimodal treatments. For each approach, we briefly discuss the method, mechanism of action, and empirical support for the treatment. 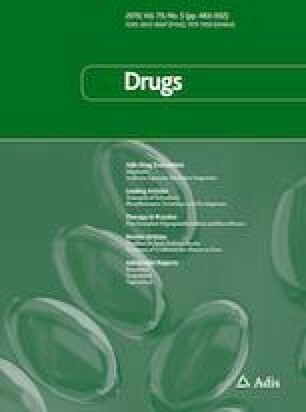 In sum, pharmacological treatments that may be beneficial but require further research include antinociceptive agents (lidocaine, capsaicin), anti-inflammatory agents (corticosteroids, interferon), neuromodulating medications (anticonvulsants and antidepressants), hormonal agents, and muscle relaxants (e.g., botulinum toxin). There is strong evidence to support and recommend non-pharmacological interventions including psychological therapy, pelvic floor physical therapy, as well as surgery (i.e., vestibulectomy for provoked vestibulodynia) for the treatment of vulvodynia. We conclude this review with a discussion of issues that may have hindered progress of treatment efficacy and effectiveness, and recommendations for moving the field forward. In the preparation of this article, N. O. Rosen was supported by a New Investigator Salary Award from the Canadian Institutes of Health Research (CIHR). Natalie O. Rosen, Samantha J. Dawson, Melissa Brooks, and Susan Kellogg-Spadt have no conflicts of interests.